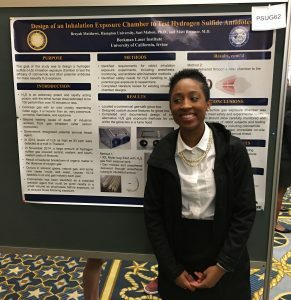 One of the unique strengths of UCI is in the rapidly growing fields of biophotonics and biomedical engineering. Our resources include the Beckman Laser and Medical Clinic (BLI), one of the premier centers for biophotonics in the world, and the Henry Samueli School of Engineering (HSSOE). 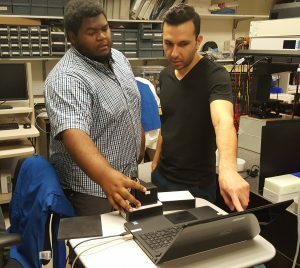 With special funding from the University of California Office of the President, the BLI and HSSOE have teamed up with Hampton University (HU), Clark Atlanta University (CAU) and Albany State University (ASU) to establish a collaborative “Pathways to Biophotonics and Biomedical Engineering (PBBE)” Training Program. PBEE is an 8-week summer training program designed to introduce high-achieving HBCU applicants to the breadth of University of California (UC) graduate programs in the fields of biomedical engineering, biophotonics, and related STEM disciplines. Students will also be invited to participate in additional events throughout the academic year in their home universities. PBBE meets an important need driven by the expansion in the UC Graduate student population as well as the rapid growth of job opportunities and innovation in areas such as medical devices, wearable sensors, and personalized medicine.